Renowned musicians, Hollywood glitterati, comedians and Los Angeles high school students joined forces this weekend for the inaugural Audible Impact, a year-long series of events on music and activism. Led by Jack Antonoff of indie-pop bands Bleachers and Fun. and joined by actresses Lena Dunham and Alia Shawkat, comedian Sarah Silverman, singer/songwriters Carly Rae Jepsen, M. Ward and many others, this motley crew came together for an intimate benefit concert at the Grammy Museum in Los Angeles that capped off an event-filled day. 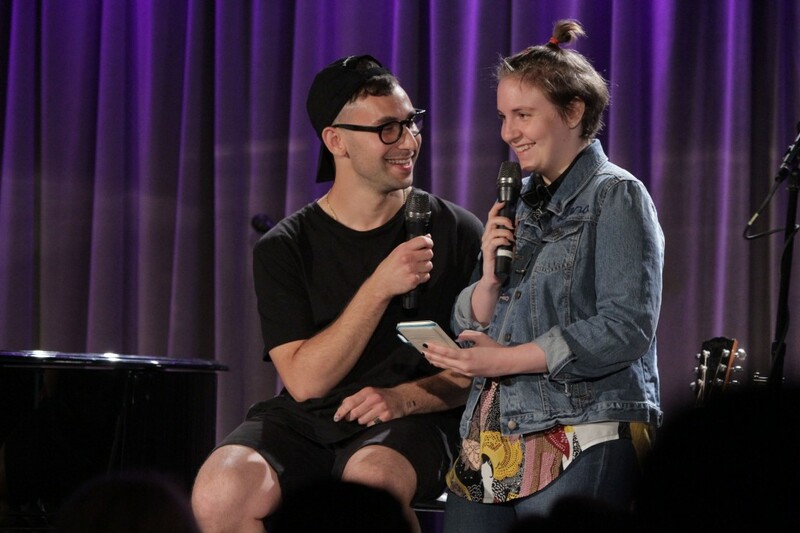 The events, put on by The Ally Coalition – a non-profit co-founded by Antonoff and his sister Rachel Antonoff – as well as the Grammy Museum and partners including Pandora, Toyota and HBO, was all about raising awareness and promoting equality for lesbian, gay, bisexual and transgender (LGBT) communities. The jam-packed day included a visit to the Los Angeles LGBT Center, where Antonoff spoke to the students and volunteers handed out hygiene packs. 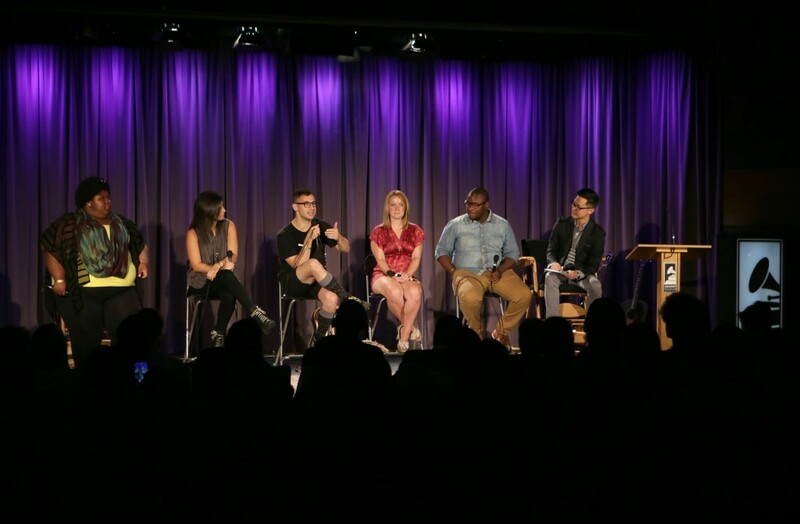 Afterwards, students attended a poignant panel discussion at the Grammy Museum moderated by Ronnie Cho, Vice President of Public Affairs for MTV, and featuring panelists Jack Antonoff, musician Jess Bowen, West Hollywood Mayor Lindsey Horvath, LA Times music journalist Gerrick Kennedy, and Sage from the LA LGBT Center. The panel covered topics including the media’s portrayal of gay and transgender communities, which many agreed is often skewed and extremely limited. “We’re more than just Caitlyn Jenner!” proclaimed a transgender teen in the audience. Panelists also emphasized that even though a recent Supreme Court ruling legalized gay marriage in all 50 states, much more remains to be done. “I was very open that I wouldn’t get married until everyone can get married,” Antonoff told the crowd, joking about how his girlfriend sent him a text asking when they were getting married as soon as the ruling came down. Antonoff pointed out that a whopping 40 percent of homeless teens are LGBT, largely because many youth are kicked out of their parents’ homes after coming out. Antonoff’s Ally Coalition works with other organizations to help promote tolerance and understanding so that these numbers decrease, and provides valuable support for these youth. Students asked panel members how they can get involved and make a difference; they also shared moving stories of their own experiences and some of the challenges of being gay or transgender. Mayor Horvath offered some tangible ideas and encouraged youth to contact her office at council@weho.org to learn more about how they can help. 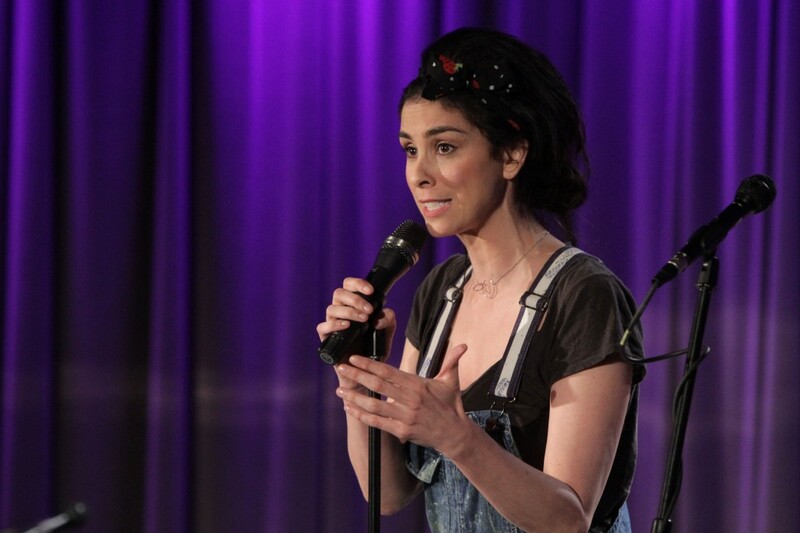 The day culminated with a benefit concert at the Grammy Museum’s Clive Davis Theater, where the audience was treated to bold comedy routines by Dunham and Silverman, soulful stylings by M. Ward and some new material by Jepsen. Antonoff took the stage with his Bleachers cohorts, performing stripped-down versions of their own tunes as well as a gorgeous cover of The National’s “Bloodbuzz Ohio” and Fleetwood Mac’s “Go Your Own Way,” which turned into an audience sing-along. For more information or to get involved, visit The Ally Coalition website.